To be honest, I’m having a little trouble getting to the point where I write every day. But I’m lucky, I have inspiring friends who help me get past this without even trying. Today is Garr Reynold’s turn. It’s Wednesday night, and I return home to another package from Amazon on the doorstep. Monday night it was Nancy Duarte’s Resonate: Present Visual Stories that Transform Audiences . I’ve been savoring the early two page chapters and really expect this is another book I’ll enjoy recommending to people who care about their communication. Oh well, the urge tonight was too strong. 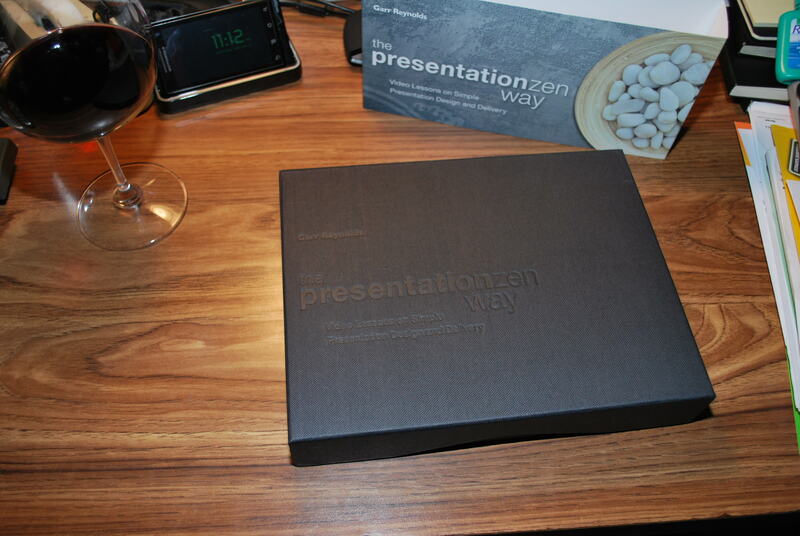 The package was Garr Reynolds’s The Presentation Zen Way: Video Lessons on Simple Presentation Design and Delivery. I’m a soft touch for cool packaging and knew what to expect here, so I broke out the camera and took pictures along the way. 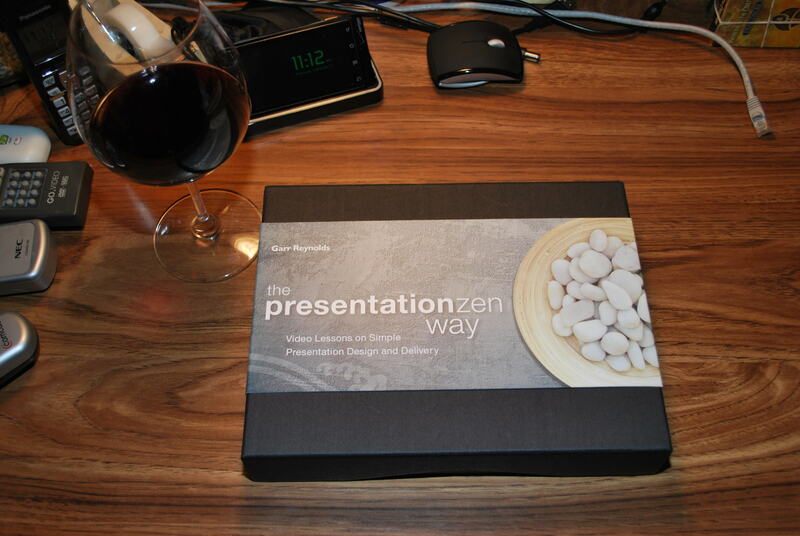 This is classic Presentation Zen. Just enough but not too much. A beautiful and sparse slip card over a textured cloth box. 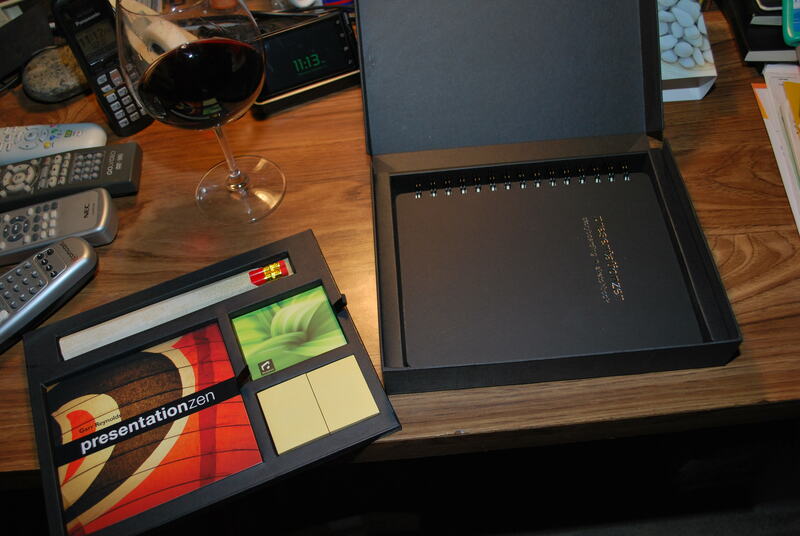 Again, very clean with the slip removed. Embossed lettering on the cover. The spine has a silver foil text treatment. This is a hinged box that will look equally good on the shelf or desk. 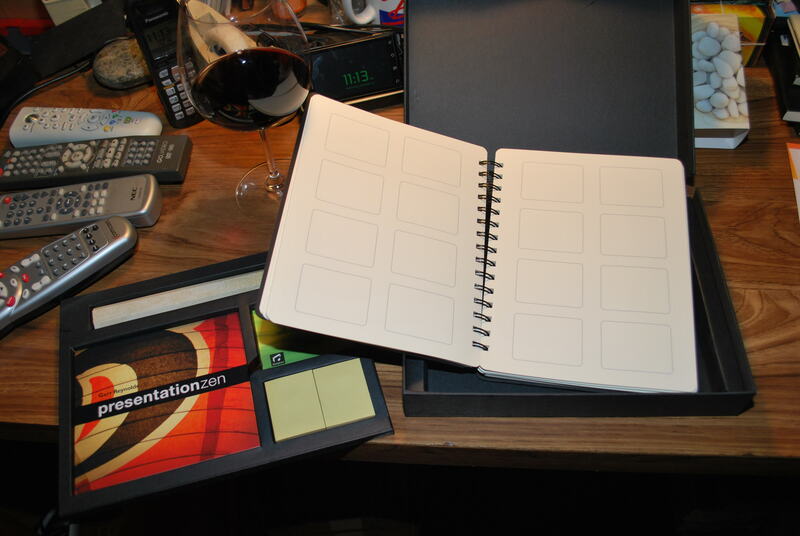 And now open, we see pencils, a coupon for free photographs, some sticky notes for later storyboarding, and the DVD - video of Garr teaching the Presentation Zen lessons. ...full of potential. 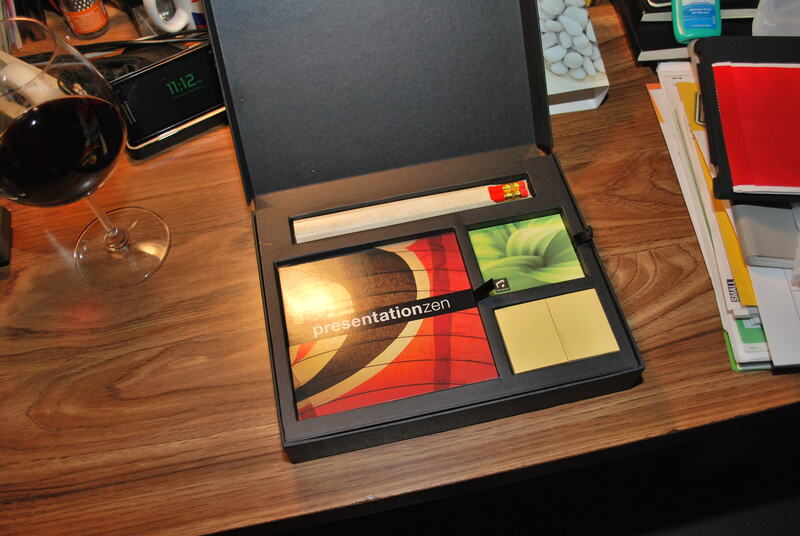 All lined up with storyboarding guides, ready to help turn your next presentation into an epic experience. Events like this make it easy to get back into writing about design goodness and presentation technique. Thanks Garr! This entry was posted in Books, Design, Media, Personal, Presentations, Uncategorized. Bookmark the permalink.